Is Your Well Done Meat Getting Your Health Undone? Spring is here, and summer is just around the corner. So you know what that means: barbecues, barbecues and more barbecues! And I don’t mean to rain on your parade, but you may want to slow your roll a bit at the grill. 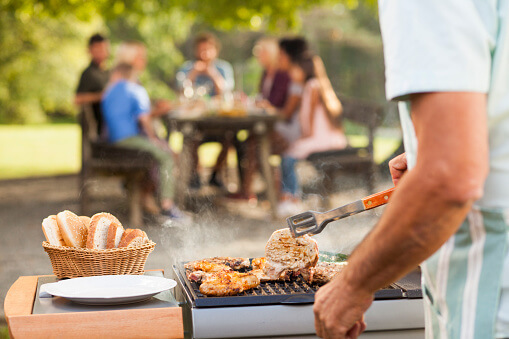 According to a recent study, use of open-flame and/or high-temperature cooking, including grilling, barbecuing, broiling and roasting, to cook meat may increase your risk of developing type 2 diabetes (T2D). (You might recall that with type 1 diabetes, the body does not produce enough insulin. But with type 2 diabetes, your body does not use insulin properly. It is the most common form of diabetes). Researchers from the Harvard T.H. Chan School of Public Health’s Department of Nutrition examined data from more than 200,000 people who consumed more than two servings of animal flesh per week. At baseline, none of these people had diabetes, heart disease or cancer. In addition to cooking method, they looked at doneness preference (rare, medium or well done) for red meat, chicken and fish. After following these people for 12 to 16 years, researchers documented 7,895 cases of type 2 diabetes. They found that the people who more frequently consumed meats and chicken cooked at high temperatures were 1.5 times more likely to develop T2D. Meat that was well-done or had achieved a level of char appeared to further contribute to the development of diabetes (compared to those who ate meat and chicken that was lightly browned). The evidence for these findings remained strong even after adjusting for factors including baseline body mass index and total consumption of red meat, chicken, and fish. “There was also an increased risk of weight gain and developing obesity in the frequent users of high-temperature cooking methods, which may have contributed to the development of diabetes,” according to this report . Interestingly, there was no connection found between broiling fish and T2D risk, but researchers said the evidence was somewhat limited with the fish (there was less data regarding fish intake). For years, several credible sources have also made claims that these chemicals may increase a person’s cancer risk. And just a few days ago, another report cited yet another new study which suggested that grilled meats cooked at high temperatures may raise blood pressure. Study participants who ate high-temperature cooked meat had a 17 percent greater risk of having hypertension (high blood pressure). “The researchers add that the exact cause for this is not clearly known. However as seen from earlier studies, cooking meat on open flames and at higher temperatures can produce chemicals to form. These chemicals are associated with oxidative stress, inflammatory responses, insulin resistance etc. Each of these can contribute to development of high blood pressure..."
Start practicing alternative cooking methods. “Those who have or are at risk for developing type 2 diabetes who eat meat, chicken, and fish regularly may choose cooking methods that use lower temperatures, or brief periods of high heat, such as with slow cookers, baking, sous-vide, boiling, steaming, stewing, and stir-frying, while avoiding high-heat and open-flame methods like grilling, barbecuing, broiling, and roasting,” suggests Harvard. Reduce your overall meat consumption. Reportedly, the average American eats around 193 pounds of beef, pork and/or chicken each year. This is the equivalent to nearly four pounds of meat per week! So you might want to try to have more meatless days. And we have identified many delicious fruits and veggies you can fill your plate with. If you go meatless just once a week for a year (52 days total), you may reduce your risk for cancer, heart disease, type 2 diabetes and more. You might be pleasantly surprised to find that foods like asparagus are actually great sources of protein. You can also get protein from black beans, lentils and green peas. Ensure you are getting the nutrients from the foods you eat to avoid chronic diseases, like diabetes and hypertension. 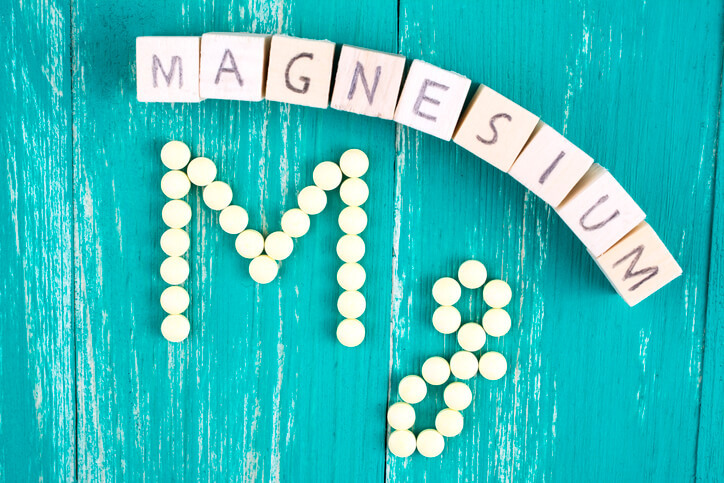 Minerals like magnesium may help prevent the development of diabetes. 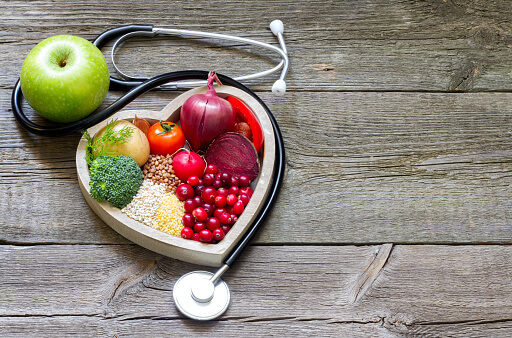 To learn more about additional nutrients that may help prevent diabetes and hypertension, read here. And finally, it is very important to get a comprehensive nutrient test. 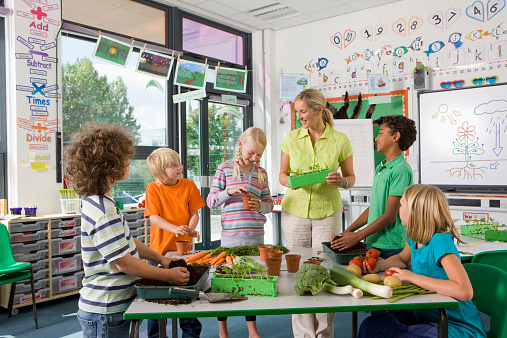 When it comes to prevention of diabetes or any disease, being nutritionally balanced is key. So a nutrient test will help you determine exactly what your body needs as an individual. Once you know your results, you can tailor a plan with your doctor to make sure your body is nutritionally balanced.